The Official Hartpury College Fully Customisable Hoody, Choose your look, add your Name and Society name and Make it yours. This great College hoody is 80% ring spun cotton for a great feeling garment and 20% polyester for strength and stability. 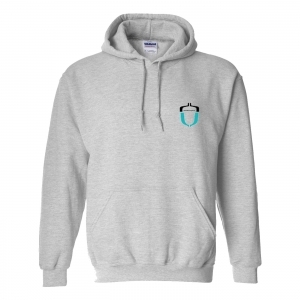 Double fabric hood with self coloured draw cord and headphone opening earphone cord feed you'll be looked after in the Hartpury Fully Customisable Hoody.